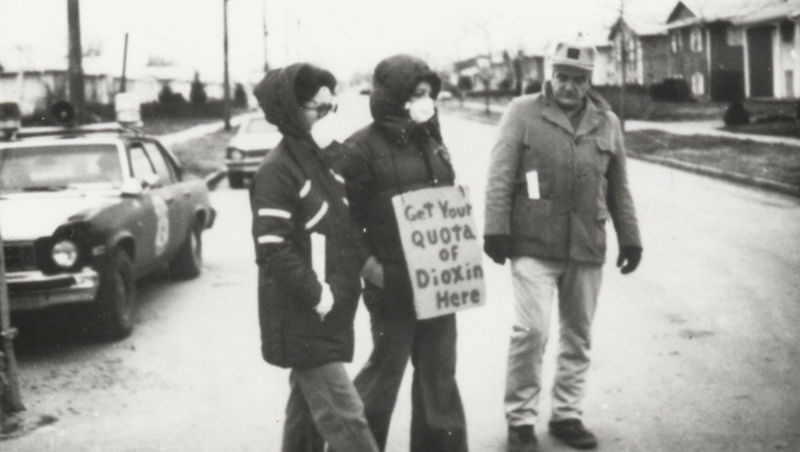 A classic video documentary on the nation's first encounter with toxic waste, it provides a complete and moving account of the way the people involved, both in government and in the community, responded to a frightening situation. It shows the complexity of the democratic process in action, as government officials struggled with a new set of questions -- weighing not only what government should do, but what it could do in the first environmental emergency of its kind -- while residents, brilliantly led by Lois Gibbs, formed their own views of these questions and developed strategies including public protest and a skillful use of the media to influence government's response. Camera, Lynn Corcoran, Joseph Steinmetz; sound Joseph Steinmetz, David Abbatoy.